WTI Trading - Tuesday, April 16, 2019. WTI Trading - Monday, April 15, 2019. WTI Trading - Friday, April 11, 2019. WTI Trading - Thursday, April 11, 2019. Today, Wednesday, news affecting the US oil market. And yet, many hours before, there was a signal for a short trade. Trade lasted most of the day. From 64.40 to 63.70, or 70 pips. A crossover from positive to negative territory. before the news affecting the oil market. Well, the SEC will never totally monitor and regulate the oil market, as it is a worldwide market. as if the major players are well aware of what the news will be. and therefore, this leads to insider trading. Indicator #2 confirms the sell trade. The entire day, the indicator line remains well inside the sell zone, below the red horizontal line, on the indicator window. On most days, the market will not travel in a straight line. sometimes going in the opposite way, incurring losses and forcing the market participants to lose money. There is no secret recipe or failsafe solution. Each trade is risky and can only be taken as a play on probabilities. 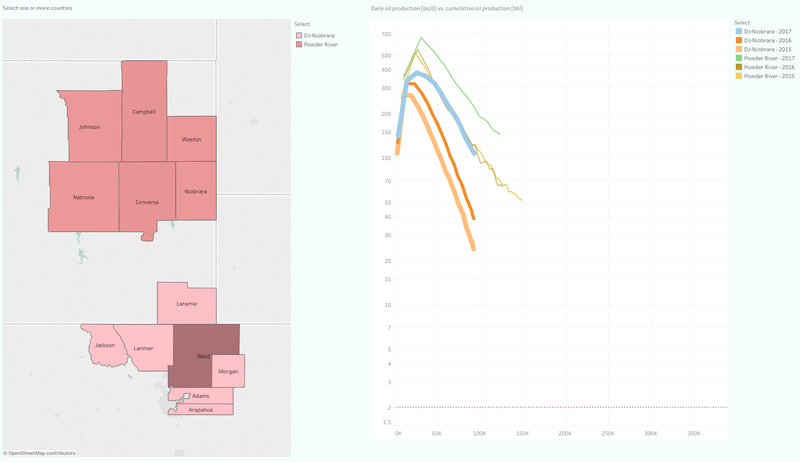 These interactive presentations contain the latest oil & gas production data, from all 10,287 horizontal wells that started production in Colorado and Wyoming since 2009/2010, through January. Originally I planned to do a post on the latest data for North Dakota (through February). Unfortunately, not all data that we rely on has been published yet, which is why I decided to do a post on Colorado & Wyoming instead. The update on North Dakota should follow early next week. Oil production in these 2 states started the year at record production (after revisions), at over 620 thousand bo/d. Both states contributed to growth in the past 12 months; Colorado with ~20%, and Wyoming even at almost 50% (although from a lower base). Production in the Powder River Basin has been mostly responsible for the latter, and is now over 120 thousand bo/d. 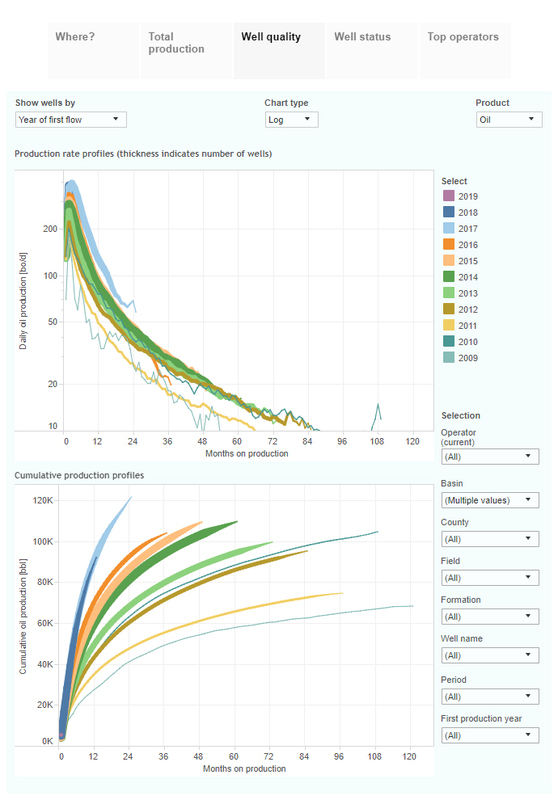 As is shown in the bottom plot on the ‘Well quality’ tab, well productivity made a big jump in 2017, but has not further increased in 2018, based on preliminary data. The big news in the past week was that Chevron bought Anadarko for 32 billion dollar, which is the biggest producer in this area (see “Top operators”). With ~100 thousand bo/d production here, this area represents about 40% of its total oil production from horizontal wells in the US, with almost all of it coming out of Weld County (CO). 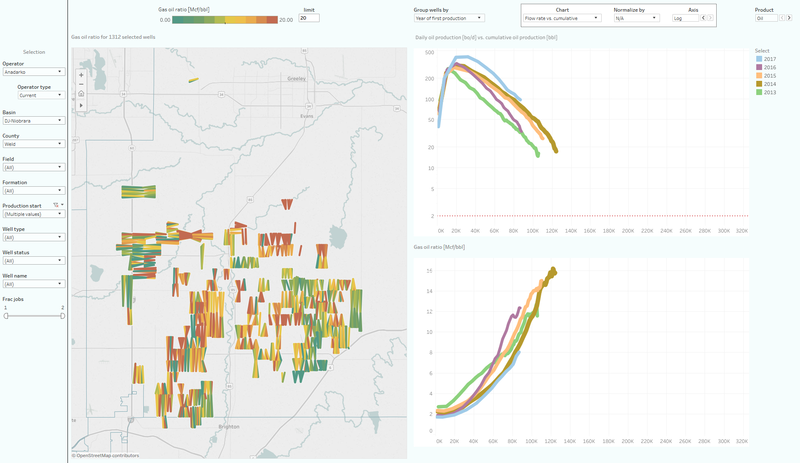 The following dashboard, from our analytics service (Professional), shows the location and performance of the ~1,300 horizontal wells that Anadarko currently operates in Weld County, which came online between 2013 and 2017 (click the image to see the high-resolution version). 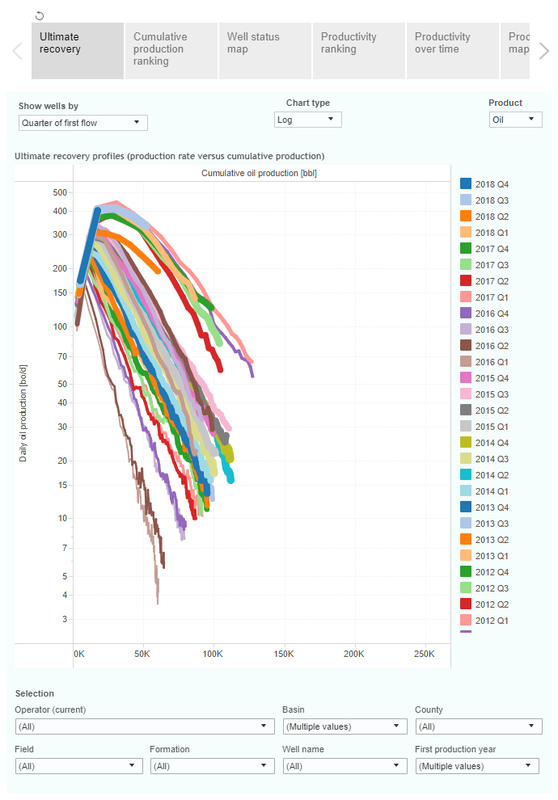 In the top-right corner you will find the performance of these wells, by year, in the familiar flow-rate versus cumulative production plot. The 2014 vintage may end up with the best average recovery, as its newer wells appear to decline more rapidly. This area is very gassy, as you can see on the map, and in the gas oil ratio plot on the bottom-right. In this “Ultimate Recovery” graph, the average cumulative production is plotted against the production rate. Wells are grouped by the quarter in which production started. Also here you can see that well performance appears to have peaked (at least temporarily) in early 2017, with newer wells on a slightly lower ultimate recovery trajectory. I performed a comparison of well productivity in the DJ Basin versus the Powder River Basin. The result is presented here in the following screenshot (again from our analytics service), where I’ve selected all the wells in these 2 areas, that began production between 2015 and 2017. 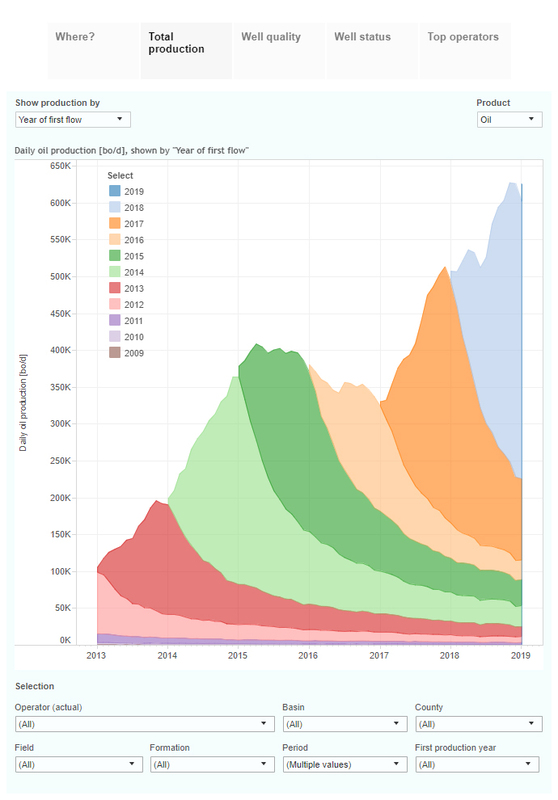 In both basins did well productivity increase over these 3 years, but the wells in the Powder River Basin are clearly on a path to a larger oil recovery. More gas is recovered in the DJ Basin. We were again happy to find the WSJ using our subscription service to get insights into tight oil & gas production trends: Frackers, Chasing Fast Oil Output, Are on a Treadmill. As mentioned, we should have a new post on North Dakota early next week. More and more companies in the oil industry are now going eco-friendly. Preserving the planet is everyone’s responsibility and oil companies are no exception. In fact, with the governments all around the world raising the bars for lower emissions and the use of renewable sources, keeping up the pace with the global sustainability trend is a must. Luckily, there are quite a few ways oil companies can make their operations greener and less harmful. Here are seven of these that are really worth taking a look at. Water is the element the oil industry simply can’t operate without. It’s used to cool the drills and remove dirt or rock debris. Hundreds of millions of barrels of freshwater end up being used on a daily basis and in order to preserve the environment that number needs to be reduced. 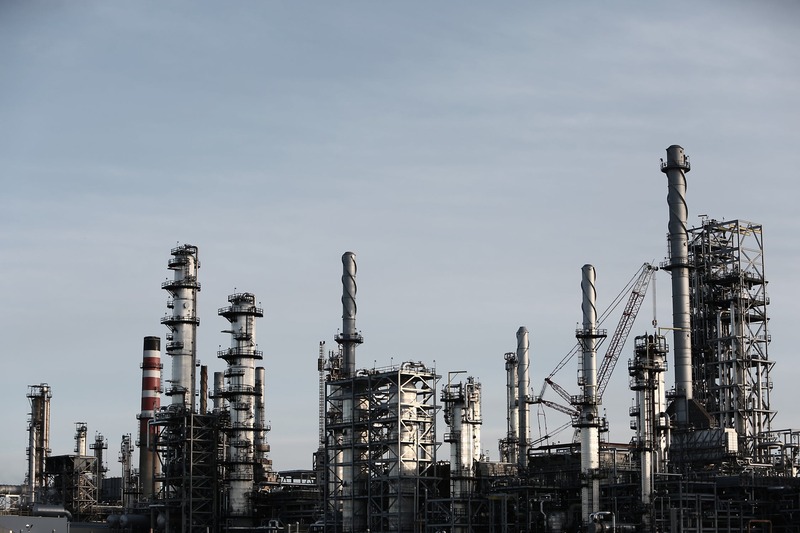 Even though up to 95% of the water used in the oil industry is recycled, it’s still very important to rethink the extraction process and reduce freshwater use even more. There’s no need to say that oil companies rely on energy to keep their operations running. However, when going green, it’s extremely important to reduce energy use to a minimum. That’s why we see homeowners and small businesses installing solar panels on their roofs. When it comes to the oil industry, companies such as BP are creating investment funds that are to be used on producing clean energy for their operations. Therefore, we can expect to see oil companies connecting with solar producers and relying on solar energy more than ever before. 3D technology has changed many industries and oil companies can rely on it to make their operations more efficient. The way this works is that they can create 3D images of the oil wells they’re drilling and use those images to make more accurate decisions. Moreover, they can utilize 3D images to eliminate any operational inefficiencies and come up with backup plans for their operations. By doing this, they can still produce the same amounts of oil but using less energy and resources along the way. The process of drilling can result in gas and fluid leaks and developing methods for managing them is critical. Luckily, the development of new drilling techniques has resulted in both improved waste management and reduction of potential leaks while drilling. More and more oil companies now implement closed-loop systems that allow them to stay in control of their impact on the environment. Not so long ago, oil companies had to drill at big depths in order to collect oil. But now, engineers have come up with techniques that allow these companies to drill smaller holes and still get the same results. Not only this but innovative drilling techniques also help them reduce noise and produce less waste when drilling. The way these new techniques works is that oil wells are being extended horizontally, resulting in less disturbance to the surface. According to some reports, companies in the oil industry only run at 77% of their true potential. This means that if more data is collected and changes are made in their approach, they could essentially reduce their energy use even more. On top of this, they could also end up reducing the amount of waste they produce. 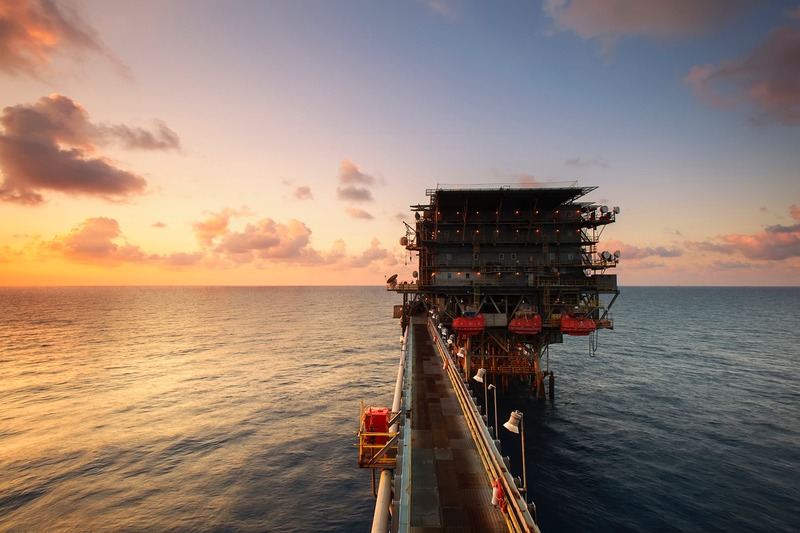 By making most of the data they collect, oil companies could also prevent accidents that occur at their rigs and create a safer working environment for their employees. Just like with most other industries, a large amount of documentation in the oil industry is printed every day. With the Cloud technology allowing companies to store documents on the web, the amounts of paper oil companies need could easily decrease. By moving from paper to electronic systems, these companies can help save trees and eliminate human errors. Not to mention that they could save time it takes to file papers and help their employees get more work done. The use of smartphones and tablets can help eliminate the need for paper even more. The trend of going green is increasing and we can finally say we’re moving towards a more eco-friendly future. With the implementation of the right techniques and technologies, companies in the oil industry can play their part and help preserve the planet. Gazprom is planning to maintain its gas supply to Europe at the level of 200 billion cubic meters (BCM) of gas per year in 2019, A. Kruglov, Gazprom board deputy chairman, told reporters on March 22, 2019. Gazprom reached volumes of export supplies above 200 BCM of gas per year for the first time in 2018 and now intends to at least maintain this level. On February 26, 2019, on Investor Day in Hong Kong, Ye. 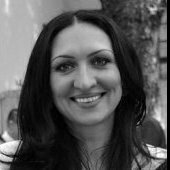 Burmistrova, director of Gazprom Export, stated confidently that Gazprom could maintain exports to Europe at 200 BCM/year for a number of years to come. 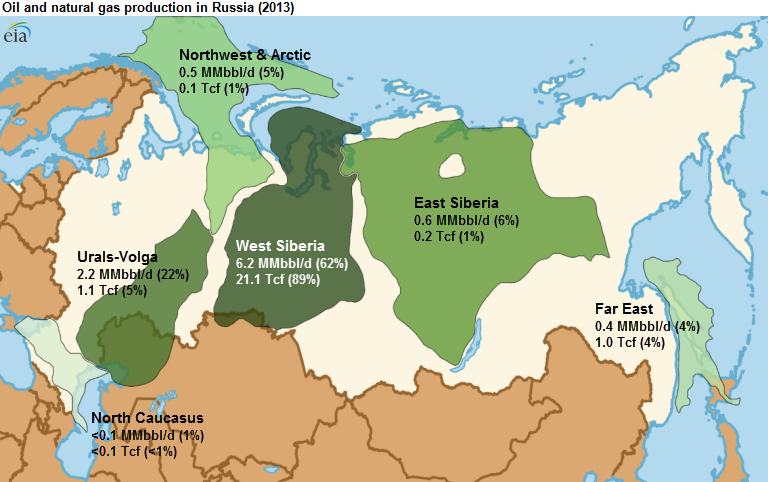 It is interesting that A. Kruglov assumed that gas exports to non-CIS countries could grow by about 20%, to more than 242 BCM/year by 2025, taking into account the achievement of the planned volumes of gas supplies to China at 38 BCM/year via the Power of Siberia-1 gas pipeline. The key issue is the gas supply situation in 2019, as the new export gas pipelines Nord Stream 2, the Turk Stream, and Power of Siberia-1 are to be launched at the end of 2019. In this connection, reaching a level of more than 200 BCM/year in 2020 is not a problem, but one cannot be sure about Gazprom’s ability to reach this level in 2019, especially with the warm weather in Europe leading to a reduction in gas demand. In the period from January 1 to March 15, 2019, Gazprom has reduced its gas supply to non-CIS countries by 8.2% when compared to the gas supply volumes for these 2.5 months in 2018, to 40.8 BCM. In 2018, Gazprom increased gas exports to non-CIS countries by 3.8% compared with its 2017 exports, to 201.8 BCM. The company was planning to increase this to 204.5BCM/year (the maximum annual contract volume for all export contracts to non-CIS countries), but the export volumes were lower than expected. Gazprom increased its gas production by 5.7% in 2018 when compared to 2017, to 497.6 BCM. In 2019, the Russian gas giant is planning to produce 495.1 BCM of gas, which is a 0.5% decrease from 2018. This is traditional for Gazprom, which usually adheres to a conservative and self-restrained approach when making production forecasts at the beginning of each year. During the year, the forecast for production volumes may be adjusted depending on the market situation. OPEC Sec Gen hitting the PR circuit hard at the CERAWEEK OIL. conference this week. Now they are the US friend. Never forget how they blocked oil to US '73 '74 after we supported Isreal against Egypt/Syria, tried to kill US oil production both '85 - '86. , '98 - '99, and recently 2014 - 15. Last one didnt work because non-OPEC oil has grown. They want US oil companies to join the cartels effort. It's against the law. The OPEC and supporting US oil co's sherade that oil investment will dry up is a false argument. For instance Hess just reported that new wells 2018 forward get 55% return at $50 a barrel ! Imagin what their return will be at $70 bbl. Short term prices could rise based on Sandi's cutting "EXPORTS" in April. Be careful to distinguish between production cuts and exports cuts. The producers can play games with these nuanced announcements. But more important the thing to watch is if Trump continues the Iranian waivers allowing continued shipping of oil (to India, China, etc). Sandi's said they will do whatever it takes to support oil prices. I believe them. BUT FORTUNETLEY THEY HAVE NO CONTROL OVER THE OIL SUPPLY TSUNAMI THAT WILL HIT THE WORLD MARKET FROM PERMIAN. Starting Q4 into 2020 (1) new PERMIAN pipelines (2) 4 new or upgraded oil export terminals (3) by the close to 10,000 DUCs (Drilled but Uncompleted wells) will support the supply. Oil economics have changed. Technology is transforming another industry and it's only just started. As Chevron CEO stated, " cut costs or die". Chevron making more now than when oil was $90.0 0 bbl. What will the valuation of E&P, Refiners, etc be if oil "stabilizes" or "balances" at $45 bbl. NOPEC should pass Congress. There are no Cartels in , Natural Gas, Iron Ore, Soybeans, Lithium, Cobalt, Gold, Silver, etc, etc, etc. Before the shale gas revolution (2007) the US was importing gas at $12.00 to $14.00 per mm/BTU. Today it's $2.80 per mm and more investment than ever. Japan was paying $20.00 + . Now $7.00. Oil industry needs to face reality. Sandi's can't charge $85 bbl for oil that cost them $4.00bbl to lift. I think we will still have cycles after the decision on waivers is made by May 8th but going forward in the year we should see lower highs with the spread between the high and low tightening until we see prices balancing in the low $50s by Q4 with even lower prices in years ahead. The Way You Receive Oil & Energy News Is Changing - For The Better. 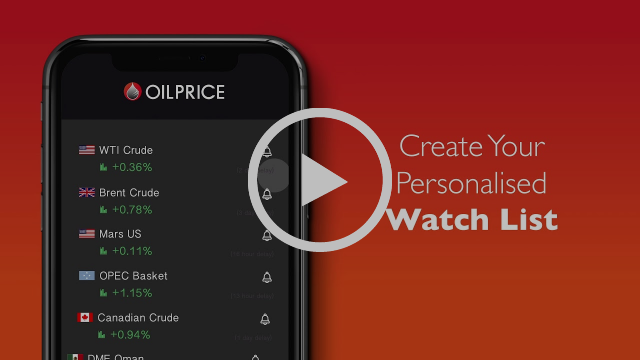 We are excited to announce the launch of the Oilprice.com app. 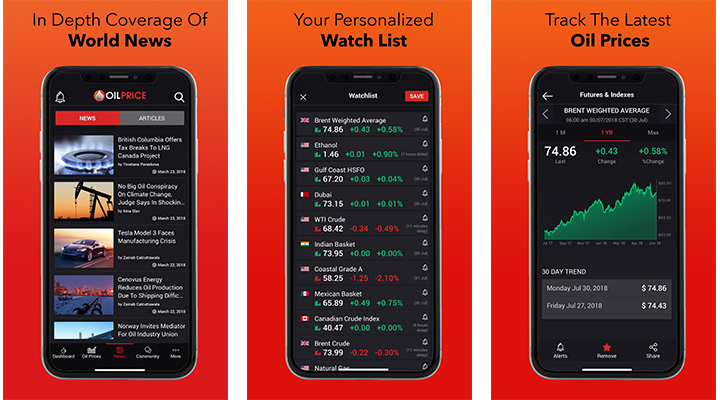 With instant access to news and industry data, the app has been designed with the Oilprice Community in mind to deliver to the minute stats and global insight at your fingertips. We are delighted to invite the Oilprice.com Community to be the first to download the free app. The app is now available, free of change, for download through the App Store and Google Play. Energy News: Featured and trending stories in energy, oil news, alternative energy, finance news, geopolitics and more. Oil Prices: Get 200+ live global oil prices including WTI Crude & Brent Crude as well as OPEC blends, Canadian blends and US blends with price charts and comparison tools. Market Data: Get the latest real-time oil news and price data as well as market analysis at your fingertips. Alert Notifications: Receive daily news alerts from the energy topics and stocks that matter to you. Customizable Stock Alerts: Customize your personalized oil stock portfolio to notify you whenever stock has gone up or down - you set the prices, you set your targets. App Store and Google Play Store. "Oh dear". 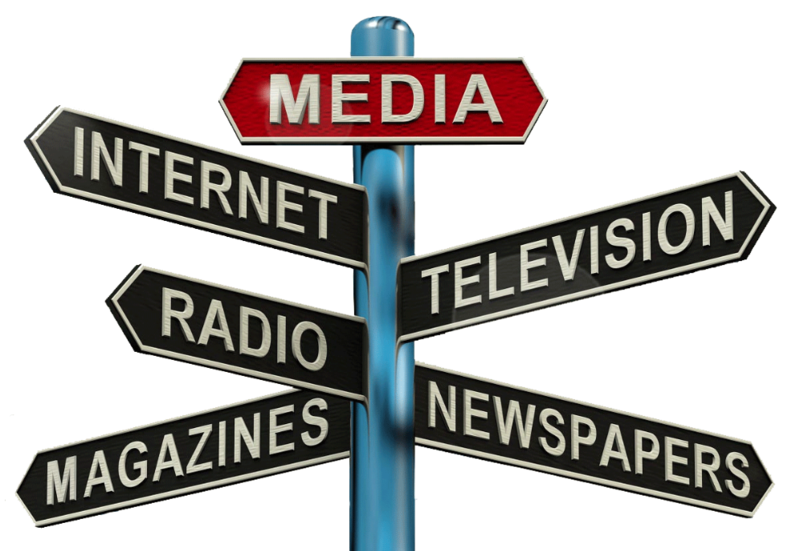 This blog is about how to engage positively and effectively with the Media (TV, Radio, Press, Social Media, Bloggers. Vloggers) - mainstream, regional, local, international - from my own "mainstream" experience: e.g. BBC World Service. The content I use will be controversial and often, given that this is a fossil fuels website, not pleasing to some. All the content is sourced and available in the mainstream Media. My consultancy work is giving Media advice to all industry sectors, face-to-face and via Skype - e.g. DHL. KIA Motors, Nord Stream, UK Independent Schools' Council. The different Media, like individuals, will often choose the sources of information that reflect their wishes, values and bias. Thus, understanding the (often political) agenda of different Media before you or your company engages with them is extremely important. - "Big Oil" is throwing money to Climate Sceptic individuals and organisations; which is demonstrably not so, but is the result of a clever and long-term campaign by Greenpeace who targetted Exxon some years ago to label it "Evil Empire". 2. The philosophy of science: especially Popper v Kuhn. - CO2, however, is not a pollutant and is vital for life on Earth. - even coal can be non-polluting: e.g. Professor Rosemary Falcon heads the Sustainable Coal Research Group at the University of the Witwatersrand (Wits), Johannesburg (where Nelson Mandela studied law in the 1950's). - produce less energy than was used to manufacture, erect and dismantle them after their short life (20-30 yrs). These three processes create large amounts of industrial pollution. Global energy needs are expected to increase by 250% by 2050 as living standards rise. Estimates vary on global energy use and production - e.g. in 2017 renewables produced 8% of global energy according to BP. The most optimistic projections from the pro-renewables IEA estimate that by 2040 renewables will still represent only 30% of global energy production - and of that the biggest contributors will be Hydro-Electric Power and Waste, not the beloved wind and solar sources. Sources are contradictory and confusing because of inherent political (not scientific) agendas). On average it seems that global energy use has risen by 150% in the last 20 years, and as a percentage of energy production the world is even more reliant on fossil sources than before. Solar panelscannot be simply buried in landfill because they contain toxic chemicals such as lead, cadmium, antimony; the glass is usually not pure enough to recycle; plastics are an integral part of construction. Research scientists - German Stuttgart Institute for Photovoltaics. The International Renewable Energy Agency (IRENA) in 2016 estimated there were about 250,000 metric tonnes of solar panel waste in the world at the end of that year. IRENA projected that this amount could reach 78 million metric tonnes by 2050. Wind power is even less efficient than solar for all the production reasons above and is more unpredictable as an energy source; kills flying creatures to such an extent that in some areas it has become the "apex predator" where it takes out birds of prey. Nuclear towers do not create such carnage because they do not move and are highly visible. Nuclear Energy is the cleanest, safest and most reliable energy source we have. When there are problems they can certainly be on a large scale (Three Mile island, Chernobyl, Fukushima) but result in very few deaths. If you consider CO2 to be a major problem, nuclear energy produces none at all. Ironically, this year (2018) the floating wind turbine erected as at Fukushima as a symbol of renewal is being dismantled because of its high maintenance costs. expected to be extended to seek any possibility of commercialization. ... Its utilization rate over the year through June 2018 was 3.7 percent, well below the 30 percent necessary for commercialization. The two other turbines, of different sizes, have utilization rates of 32.9 percent and 18.5 percent, respectively." Nuclear "waste" is in fact a resource and not to be feared!
" ... fission waste does not migrate even where there is significant groundwater, and ... ancient waste had none of the multi-layer engineered safeguards that are now developed, nor the careful geological siting." " by far the biggest resource in radwaste is in the transuranics and unburnt uranium. This could be used to increase the energy available from nuclear fuel by several orders of magnitude using fast breeder reactors, but such use is no longer being pursued in many countries, including the UK ([which] used to be the world leader up until the early 1980s), as uranium is too cheap to make it economically attractive at present." And no, it can't be used to make a nuclear bomb; and there are much easier ways for terrorist groups to make the usual "dirty" bombs than trying to get hold of nuclear residue. It is calculated that there are about 120,000 cubic metres of nuclear waste in the world - i.e. not enough to fill a soccer stadium, since the start of the nuclear industry in the 1950's. Nuclear use is already part of our daily lives. We already use radio cobalt in irradiating food and medical supplies; strontium or plutonium for generators in space travel; americium in smoke detectors; tritium in emergency-exit signage; various radio isotopes are used to diagnose and treat diseases. Soon it is expected that we will be able to split further uranium isotopes and all uranium's heavy metal derivatives. Given that my first interest is helping you and your company to deal with the Media, mainstream and otherwise, it is important to judge your audience and then tailor your information to help them take it in. My presumption so far here in this blog is that readers are well-informed, wish to be given reasons to reflect, think and debate civilly on what are very important matters affecting how we live. I also presume such readers are thinkers rather than activists. Trigger warning: further topics will include references to and buzz words such as coal, climate change, CO2, sea levels, non-AGW, geological time scales, IPCC, Greenpeace, Big Oil and the like. We where supposed to have a deal on Thursday with OPEC so what happened? If you found a good deal on a house, would you delay the closing? You would if you saw some problems with the deal. Well what kinds of problems do we have with OPEC cutting productions and why wasn't it made today, after all the whole world is waiting. For the prices to stop going into a free fall and hit my $34 target, they need to cut production, Saudi by about 2 Mill barrels and Russia by 300,000 barrels, or at least 200,000 barrels. Well Russia did not have an answer today? Why? Well lets see where Russia Oil fields are? Well this looks like a very cold place, if im not mistaken it gets to -70 Celsius in the winter. Ok so whats the problem? If you live in Northern Canada, you know you need to not turn off your heat in the winter to your pipes wont freeze. Well guess what, Russia won't be able to cut production in the winter, and it will need to wait until temps are above freezing, maybe March / April 2019. So that means Russia wont be able to cut, so why should the Saudis cut, so they will cut im comparison with Russias cuts, which wont be enough to stop the fall of Crude Prices. Global leak detection system market is expected to gain momentum with growing pipeline network and increasing demand for fossil fuels. Advancement in technology has facilitated the pipeline operators to remote monitoring of pipeline operations. Global pipeline network is about 3.5 million kilometers which is responsible for movement of oil & gas products across the globe. Pipelines are considered to be the safest and the most efficient mode of transportation of hydrocarbons as they are hazardous in nature and any spillage or leakage can results in huge loss to the product owner as well as to the environment. Leakage is considered as the most common problem in pipeline operations which not only results in product loss but also can results accidents with huge potential to damage nearby environment. Recent accident happened in recent past such as explosion in gas pipeline in Minnesota, U.S., and eruption of natural gas pipeline in Nebraska in 2014 has bought in legislation for the pipeline carrying hazardous products to mandatory have leak detection system. 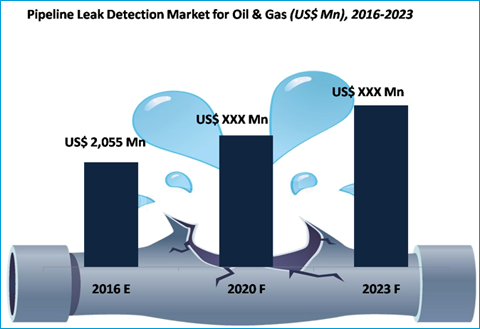 Thus, global leak detection system market for oil & gas industry is anticipated to driven by factors such as increasing natural gas production, increasing trade of oil & gas products coupled with growing pipeline infrastructure and associated regulatory policies. However, volatile oil prices restricting cash flow of the oil producers which is likely have a negative impact on upcoming pipeline project which in turn is expected to restrain the demand for pipeline leak detection system in oil & gas industry. The Global Pipeline Leak Detection System Market for Oil & Gas Industry has been estimated to be valued at US$ 2.1 Bn by the end of 2016, and is expected to reach US$ 3.2 Bn by 2023, expanding at a CAGR of 6.4% from 2016 to 2023. Global leak detection system market for oil & gas industry is segmented on the basis of technology, product type and geography. By technology, negative pressure wave segment is projected to be the most dominant segment due to easy installation along with low installation cost. Considering segment product type, the natural gas segment to be the largest segment over the forecast period (2016-2023) owing to increasing production of shale gas coupled with growing increasing number of gas based economies. The key players in the market are focusing on research & development of new technologies to enhance accuracy of their products. Overall, global pipeline leak detection system market is projected to register significant growth over the forecast period (2016-2023). 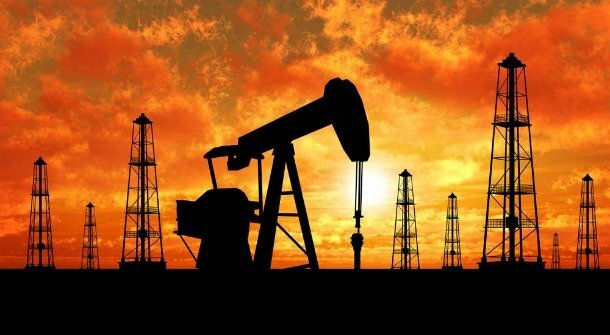 The purpose of the report is to illustrate the state of the market of Base Oil, to present actual information about the volumes of production, exports, imports, consumption and the state of the market, the changes that took place in 2017, and also, to build a forecast for the growth of the industry in the medium term until 2026. This report is the result of an extensive survey drawn from Credence Research’s exclusive panel of leading global market industry executives; it provides data and analysis on buyer investment, acquisition, and developments within the global market research. It includes key topics such as global Base Oil buyer expenditure and procurement behaviors and strategies and recognizes the threats and possibilities within the industry, economic outlook trends, and business confidence within global industry executives. Most secondary research reports are based on general industry drivers and do not understand the industry executives’ attitude and changing behaviors, creating a gap in presenting the business outlook of the industry; in an effort to bridge this gap, Credence Research created this primary research-based report by gathering the opinions of multiple stakeholders in the value chain of the global industry. Executives from the global industry anticipate an increase in levels of consolidation, with 55% of respondents projecting an increase in merger and acquisition (M&A) activities in 2017. Financial and business profiles of the leading companies in the Base Oil industry. "Preventive excessive government interference too early in the process of innovation". "Give the innovative the confidence to experiment without having the fear of civil or criminal liability". A recent article published in the Jakarta Post in reference to geothermal, where Pak Prijandaru Effendi the chairman of the Indonesian Geothermal Association (API) dismissed the government's claims of the geothermal success story, where he said that this has needed more than three decades to succeed. In my opinion four very good statements, there is no doubt that regulations are holding back innovation and technology in many sectors of industry in the country including the exploration industry. There is no doubt that excessive government interference is holding back development and there is no doubt that the fear of being victimised because you have made a business decision which was not successful in terms of financial loss is helping to increase Indonesia's imports for oil and gas as well as delaying the geothermal development that Indonesia has so much potential for. Geothermal development does take time, on average from the early exploration stage to production can take eight years or more, in some cases it has taken 15 years, therefore taking credit for geothermal that is coming online today has taken many years of development as well as huge amounts of money, (much of which has been lost by the investor), is not correct. There are worrying signs that the targets set by the government for renewable energy will not be met, it is understood that this has been verbally stated that instead of 2025 it will now be 2030. It is fair to say that the government of Indonesia has not invested as it should have done in the natural resources that it has in its own backyard, the reliance of investors in the past is not what the future holds. Many of the geothermal power plants that have been developed have been in areas that shall I dare say easier to develop than several of the options that are available today, geothermal is a complex and difficult resource to develop, hence the reason that so many coal-fired plants have been and still continue to be developed, the cost difference of a coal-fired plant compared to a geothermal plant is substantial. Geothermal Development costs US$8 million per 1 MW (in comparison to US$2 - 3 million for coal) or approximately US$400 million for a mid-sized 50 MW plant. 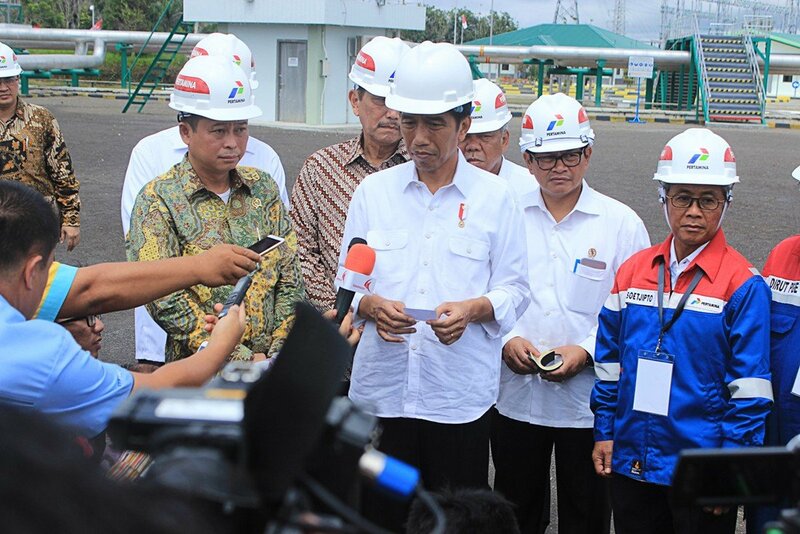 The four statements highlighted what is and is not happening in the geothermal, oil and gas industries, which is down to the people who are a part of the "Game of Thrones" in Indonesia. They are stopping what the President is saying should happen. There is also another added problem, which is supported by a comment from Fintech, "Geopolitics is becoming more important than energy", it certainly appears that way with the run-up to the election next April. I was in a recent meeting where I was told that the government's exploration budget for 2018 is 60 billion Rupiah (less for 2019), or US$4.1 million, this is a very small amount of money considering the cost of conventional exploration methods. We have heard so often that Indonesia needs to explore and it needs investment, but if you are only going to invest peanuts yourself, how will you attract other investors? Another person told me that it appears that Indonesia has lost the appetite for exploration, if this is the case, why are they complaining about the cost of importing oil to meets its daily demand? This is an interesting development, but will it really attract more interest? As far as I am aware, the data that is available is normally of a poor quality and any investor will be taking a very high risk in bidding for any block based on this data. It is considered that the cost of US$80, 000 is very small and that investors would be willing to pay far above this sum if there was reliable data available. "The bitterness of poor quality remains long after the sweetness of a low price is forgotten"
Personally, I am not seeing that the government is looking at the real problem that is not attracting investors, scrapping the charge for oil and gas data is scratching the surface of what needs to be done, what needs to be done is simple, exploration with technology that is supported by conventional exploration methods. Knowing the full potential of any area is important. Giant, mature oil fields all have potential, hidden geothermal reservoirs also have potential, we just need to know where they are and what they contain. Why are they not developing areas that do contain large resources, such as one area in Lampung that contains one billion barrels of oil, or another area that is reported to have 40 billion barrels of oil? When a respected person mentioned these to me, I said, who is listening, he replied, “no one”. Business conducive regulations are needed, smart technology is needed, they both go hand in hand, this does not appear to be the case in Indonesia at this time. Technology and financing are two different sides of the coin. Technology providers are NOT supposed to bring financing, the Indonesian government is expecting both. This article was written by myself and was published in the Jakarta Post on Friday 16th of November 2018. A Pakatan Harapan MP today questioned the rationale in using 36% of national oil company Petroliam Nasional Bhd’s cash reserves for the special dividend of RM30 billion. Wong Chen (PH-Subang) pointed out that Petronas’ cash reserves, as of last year, stood at RM128 billion, and the profit after tax was RM46 billion. “This worries me because we know there is a huge possibility Malaysia will be stuck in the trade war between US and China. “If we use all the money now, the financial power of RM54 billion, we may run out of ‘financial bullets’ when the crisis really hits,” he said in the Dewan Rakyat when debating the Budget 2019. The RM30 billion special dividend is part of RM54 billion that Putrajaya is asking from Petronas next year. It will be utilised to fully settle the outstanding tax refunds estimated at RM37 billion — RM18 billion in income tax and RM19 billion in goods and services tax (GST). Wong stated that while he understood Finance Minister Lim Guan Eng’s anger and frustration in inheriting the financial woes of the previous administration, he was of the view that Parliament needs a guarantee that a special dividend of this nature cannot be repeated in next year’s budget. Yesterday, I had commented on LinkedIn a bit about this. Generally, my view is that if this is a one-off higher than normal dividend from Petronas, then it shouldn't be a problem. My concern is if this is an old crutch that is getting long in the tooth from decades-old age and too much reliance on Petronas to provide money. Dr. Mahathir bin Mohamad was the 4th Prime Minister of Malaysia. He held the post for 22 years from 1981 to 2003, making him Malaysia's longest-serving Prime Minister. After stepping down as Prime Minister, Dr. Mahathir took on the role of Petronas Advisor in 2003. On March 11 2016, the Malaysian government terminated the services of Dr. Mahathir, due to a political dispute between former Prime Minister Mahathir and the current Prime Minister Najib Razak. The Prime Minister's Office said in a brief statement that the Cabinet had discussed the actions of Dr. Mahathir, and decided that since he was "no longer supporting the current Government, he should no longer hold any position related to the Government." Question: In August 2015, the Petronas CEO told reporters that Petronas had RM 126 billion in cash reserves. What is your opinion on Petronas current cash reserves? Dr. Mahathir: Well, Petronas is regarded by the government as some kind of cash cow. When the government is short of money, or needs to have some investment, usually they pump it off on Petronas. And currently, the government is really short of money. They have mismanaged things, including borrowing huge sums of money. So they are in deficit. And what we do know is that they have been cutting back on budgets, by 20% last year, and again 20% this year. It would seem that the government finds difficulty borrowing. So, asking Petronas, which has more credit-worthiness, I think, is the way for them to borrow. Things have changed quite a bit since that interview in March 2016. Personally, I think Dr. Mahathir and Lim Guan Eng (the Finance Minister) and the new federal government are doing an overall great job in rescuing and repairing the country's financial mess, left behind by the previous administration. Notably, working to clean up the mess of 1MDB. And I understand a stop-gap measure of increasing the Petronas Dividend this year to help alleviate the budgetary shortfall as the federal government works to pay down earlier commitments and reduce debt. Again, cleaning up the financial nuclear fallout from 1MDB won't happen overnight. Question: Petronas has recently stated that they may have to borrow money in order to pay their RM 16 billion dividend for 2016. Petronas originally wanted to pay only RM 9 billion in dividends for this year, but the government announced that Petronas was going to pay RM 16 billion in dividends for this year. About a month ago, Petronas announced that they will likely have to go in debt in order to pay the government dividend this year. Do you have an opinion about that? 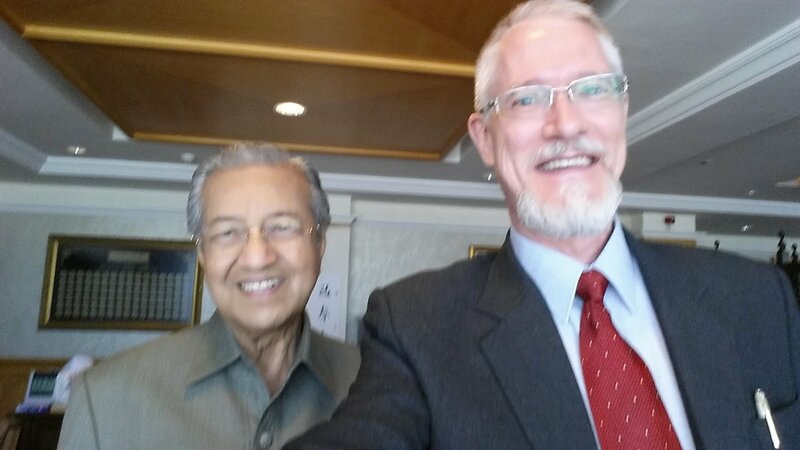 Dr. Mahathir: Well, I think the government, as I said just now, is short of money. Petronas will have problems paying them more than what Petronas can afford. But the government is in such a desperate state, that they don’t care what happens to Petronas. As I said just now, Petronas can borrow money more than the government can borrow. So Petronas will have to cough up the amount of money that the government directs it to pay to the government. Again, if this is a one-off higher than normal Dividend this year from Petronas, then it should be no problem. Next year, the dividend should be reduced, to allow Petronas to re-invest more in new Exploration & Production activities, both domestic and overseas. Twenty-plus years ago I lived in England, had a Sri Lankan boyfriend, an Israeli best friend who shared a flat with a Palestinian guy, and a Persian housemate. This is still my idea of multiculturalism. Yet 20 years later what I read and see about Europe -- and Turkey but that's a different question altogether -- suggests the multicultural model governments have been shoving down people's throats has begun to backfire and it is backfiring spectacularly. Take the hidden camera film about the encapsulated Muslim neighbourhoods in Paris. This is no spin and no fake news. I have a friend who lives and Paris and she has vouched for the genuineness of these neighbourhoods. There are similar places in Germany, too, if we are to believe none other than Angela Merkel, who said in an interview such encapsulated areas have no place in the German society. Ironic, given she put a lot of effort into taking migration to ridiculous levels. Then there's Denmark, where I saw (hopefully because I only had three days) multiculturalism still working, probably because the country, as far as I remember, limited its intake of economic (sic) refugees. There I saw people of various colors all smiling and friendly, as befits one of the happiest nations in the world. And then I saw a boy that eyed me suspiciously for several minutes until I felt extremely uncomfortable (I went out to smoke and forgot the keys to the Airbnb, okay? Don't tell anyone). That one single boy is new to the country, I'm sure. I really hope he won't look at this very typical Middle Eastern way at people in five years. Because he will have assimilated. Assimilation is the only sensible way of actually accomplishing multiculturalism that doesn't give rise to racist extremists. I will here quote Mr. Schwarz, an expat in a country neighbouring his home one, who, after 20 years here says "We" when he talks about the locals and "they" when he talks about his countrymen and countrywomen. The only way to have a decent life in a foreign country even one that is culturally close to your home one, is to assimilate, learn the language and the culture, and make it your own. This emphatically does not suggest you need to give up your own culture or religion. What it does suggest is that if you want to live in a society you need to become a part of it, rather than an appendage that feeds from a society, operates in it, but remains a separate part of that society and, ultimately, does not contribute to the greater good. That's what encapsulation is all about and to me, it is the one single negative aspect of the recent migration waves that can bring the whole European Union down. How did we get here? We need to thank PC gone mad and congenital human stupidity. The more you force a group of people to accept something new and unfamiliar as normal and familiar without giving them enough time to process this thing, the more they will clench their teeth and refuse to eat it. The pendulum, as I like to say, always swings. The further it swings into one direction, the further it will then swing into the opposite one. it's just one of these laws that can't be violated. And personally, I believe Western Europe is being so stupid because they have no group memory of the Ottoman empire ruling over them. We do although we won't continue to have this memory for long as history is being rewritten. Literally. This article was recently published on Seeking Alpha. 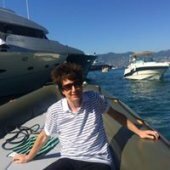 It might be of general interest to this community and, of course, I would be interested in any comments that might help to prove or disprove my thesis. Tetra Technologies, Inc. (TTI) is a deeply undervalued small cap energy services company that will not stay so small and undervalued for long. Excluding its controlling investment in CSI Compressco (CCLP), the stock sells at an enterprise value multiple of just 4.0x run-rate EBITDA, despite strong free cash flow generation and growth prospects. 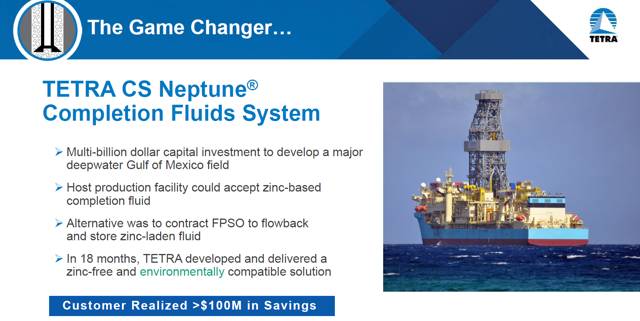 The company's breakthrough new CS Neptune completion fluid has a multi-billion dollar market opportunity ahead of it, with >80% EBITDA margins, no competition and long term patent protection. The company recently signed a joint marketing and development agreement with industry leader Halliburton to distribute this product globally. TTI stock can double just to get to the low end of my fair value range. Over the next year, it can triple and more. TETRA Technologies, Inc. (TTI) is a smallish company that’s been around for a long time. Until recently, it has been an unremarkable company, sort of both everywhere and nowhere at the same time. As I will explain in this lengthy article, I think that is about to change in a big way. Against its most recent closing price of $3.65, I think the stock is easily headed into the teens over the next year or two. I think this is a stock to own right here, right now, because not only is it extremely cheap but I think perceptions could begin to change rapidly starting with the upcoming Q3 conference call. TETRA is an oil and gas service company now focused squarely on three businesses: high technology completion fluids, which will benefit from both increasing shale drilling and, particularly, the accelerating recovery in deepwater drilling; water and flowback services, which will benefit from the increased importance of water management in shale drilling; and compression sales and services, in which it participates through its ownership and control of CSI Compressco, LP (CCLP), a separate publicly-traded MLP. As I will explain, I think that TETRA is well positioned to assume a position of technological leadership in both the completion fluids and water management businesses. Its investment in CSI Compresso is valuable, but in my opinion, may ultimately be a candidate for divestiture. Over the last year, TETRA has quietly and remarkably transformed itself into a focused company with the potential for market leadership in two large and growing oil services markets: completion fluids, where it has a blockbuster new ultra-high-margin product; and water and flowback services, where it is the number two provider of such services nationwide. Over the past year, the company has sold divisions, shed liabilities, and reduced and refinanced its debt. Where the “old” TETRA was a bit of a mish-mash with no particular corporate logic; the “new” TETRA is a highly focused company with a coherent and well-defined corporate strategy. In my opinion, the new TETRA is a winner—a long-term growth story that can double over the short term and triple or quadruple beyond that. While I am bullish on energy related stocks, most of them are highly cyclical and inextricably tied to the commodity price. TETRA has a unique set of secular growth drivers that most other energy stocks do not have. Investors haven’t yet taken notice, but I think they are about to. TETRA last closed at $3.65, at the lower end of its range over the last year. While analyst targets are in the $6 to $8 range, I conclude a value between $8.38 and $13.09 per share. On May 31, 2018, TETRA management held an “investor day” conference in New York City in which the CEO, CFO and the heads of all their divisions gave lengthy presentations and answered questions. This may be the first time this company has ever hosted such an event. Certainly, it is the first time in recent memory. I think the best way to analyze this investor day is in terms of human nature. Hosting an investor day is a lot like hosting a dinner party to celebrate your new house. You wouldn’t be doing it if you didn’t feel proud of what you had accomplished and where you were headed. It is a sign that management is both excited by their prospects and confident they can deliver. It may also be a sign that they think their stock is a real opportunity. I was very impressed with the company’s 117-page analyst day presentation. Clearly, a lot of thought and effort went into this presentation. Not only did management explain their business and corporate strategy coherently, they put forth explicit 2018 guidance for each of their business units. I don’t think they would have done that unless they were confident the could deliver at least as much as they promised. In fact, on their earnings call just two months later, they already began raising guidance, however modestly. I have been following TETRA closely since their investor day presentation. At the time, I didn’t see any need to rush out and buy, but I’ve recently changed my mind. I think the time to buy is now, in front of what I think will be strong Q3 earnings and a meaningful upward revision to Q4 guidance. As well, I think 2019 is shaping up to be a breakout year. Nobody knows a company better than its own management. But, for obvious reasons, management cannot tell us everything they know. Looking back on the investor day presentation, and what has happened since then, I am convinced that management likely has in store a string of important positive announcements that will cause investors to fundamentally revalue the company significantly higher. Since the investor day, the company has made three important announcements. First, the company announced a joint marketing and development agreement with Halliburton (HAL) for its revolutionary new CS Neptune completion fluid. Halliburton is one of the global leaders in drilling and completions fluids and controls about a quarter of the market. Driven by Halliburton's global reach, I think revenue and profits from this single product alone can cause the stock to at least double over the next year. Second, the company reported very strong Q2 revenues of $260 million (versus analyst estimates of $238 million) and earnings per share of $0.04 (versus analyst estimates of $0.01). Third, the company raised both 2018 revenue and EBITDA guidance, although by not nearly as much as the Q2 outperformance would suggest. TETRA will report Q3 earnings in early November and I expect that it may represent a critical inflection point in how the company is perceived by investors. I expect the company will report a strong quarter and raise Q4 guidance, perhaps substantially. Management may also give a preview of 2019 guidance. Before I begin, let me give credit where credit is due. Fellow Seeking Alpha contributor, Fluidsdoc, has been writing about TETRA for more than the past year, and it is their enthusiasm for their new Neptune completion fluid product that initially drew me in. According to their Seeking Alpha profile, they are an industry expert. Now, Fluidsdoc has been recommending TETRA for the past year and, frankly, they have been early. As I will explain, they connected the dots between what happened in 2017 and what will happen in 2019 and beyond far faster than the market, which in fact still hasn’t connected those dots. That’s often what happens when you know too much and that’s a large part of the opportunity in TETRA today. When it comes to completion fluids, Fluidsdoc is the ultimate industry insider. I’m pretty sure they are going to be right on TETRA. Even if they are only half right, this will be a very rewarding stock. Let’s now go through each of TETRA’s operating divisions. TETRA’s Completion Fluids & Products division is an industry leader with a greater than 30% market share for high value fluids. When transitioning from drilling a well to completing a well, completion fluids are used to displace the drilling mud while keeping downhole pressure intact. If you want to know more about the technical details of these fluids, I urge you to read Fluidsdoc’s many articles. They are the real thing when it comes to understanding the science and application of these fluids. For the purposes of this article, suffice it to say, if you are completing a well, you will need completions fluids. Depending on the type of well you are completing, the fluid you will use can range from a relatively low-cost commodity fluid like calcium chloride for a typical shale well to a very expensive and highly engineered fluid using hazardous or even rare elements for a high-pressure, high-temperature deepwater well. As Fluidsdoc explains, there have traditionally been two alternatives for deepwater completion fluids. The first, zinc bromide, is extremely toxic, bio-accumulates in the food chain and is a known teratogen, meaning it causes fetal malformation. These health, safety and environmental issues are real. 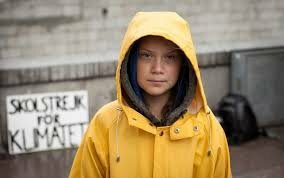 The U.S. has classified zinc brines as "marine pollutants" and they are prohibited from use in the North Sea altogether. The second alternative, a cesium formate based brine, does not have the same environmental risks, but is extremely expensive and its use frequently difficult to justify. A cesium formate based completion fluid can cost up to ten times as much as a zinc bromide fluid. In sum, what TETRA has done is to develop a revolutionary new zinc-free completion fluid which is far superior to what exists today. Because it is zinc-free, it has none of the health, safety and environmental issues associated with a zinc bromide fluid; and because it uses no cesium formate, its cost is very reasonable. Tiny TETRA was about the last company that anyone expected would come up with a solution to one of the completion fluids industries most vexing problems, zinc bromide. But, solve it they did, thus registering the first significant advance in heavy brines technology since they were introduced in the early 1970's. According to the company, CS Neptune was developed for use in a multi-billion-dollar investment deepwater well in the Gulf of Mexico. Had a zinc-based fluid been used on this project, a separate FPSO (floating production storage and offloading) unit would have had to be contracted just to dispose of the zinc-laden fluid. In other words, the E&P company would have had to hire one of these (as in the picture below) just to dispose of the contaminated fluid. All-in, the use of CS Neptune resulted in savings of greater than $100 million. That’s a huge savings and explains why this product can command such high margins. The success of the TETRA CS Neptune® technology project simply cannot be overstated. In 2017, TETRA completed a multiyear project in the Gulf of Mexico that, by all measures, was an unqualified success. We view the TETRA CS Neptune® completion fluids system as a transformational, disruptive technology that is generating additional interest from customers around the world. We are excited about the future and about the role TETRA CS Neptune® technology will play in the growth of our Fluids Division. The critical question is, is this true or is this just so much corporate puffery? This is where Fluidsdoc comes in. This the first major advance in halide fluids in 40-years  and enables operators to conduct completion operations without the risk of zinc, or cost impact of cesium formate. 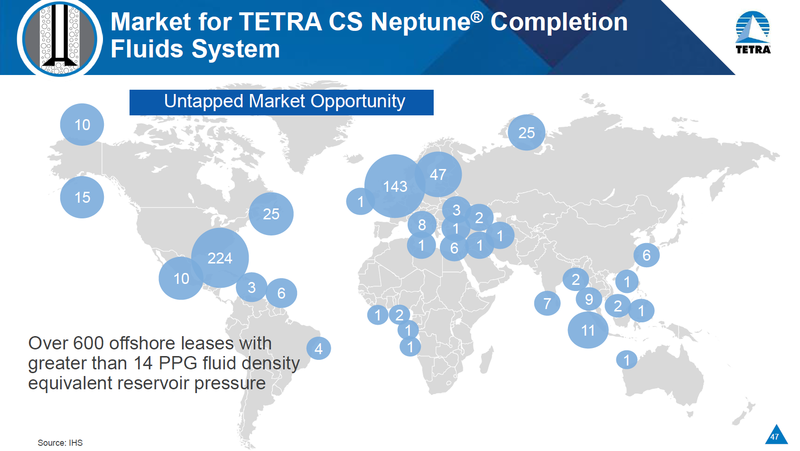 That's why I am confident that TETRA will win some of these markets for Neptune CS. They already have a strong presence in Brazil and the North Sea and Africa, leaving only the Far East-China, Vietnam, and Malaysia for expansion. TETRA is going to get business that used to go to [zinc bromide] with all its attendant risks, or cesium formate with its high cost structure. Every well they use it on in deep water is worth millions to its bottom line. If so, that’s enormously consequential from a financial perspective. Neptune is a product in its infancy. In Q2 and Q3 of 2017, TETRA provided Neptune completion fluids for a major Gulf of Mexico project. While this was not the first well that Neptune was used on, it was the first truly large-scale application of Neptune on an ultra-high-value well. What we don’t know is exactly how much revenue and EBITDA were generated by this project. But we can guess. Just looking at how both revenue and EBITDA popped during those two quarters (and also taking into consideration the typical seasonal strength in Q2) suggests that this single project generated in the range of an incremental $20-25 million in revenues at an EBITDA margin of at least 80%. That really made me sit up and take notice. There are two important takeaways here. First, if Neptune gains traction, it can drive an enormous amount of profitability with virtually no incremental capital investment. Second, Neptune earnings deserve a high multiple and can catalyze a fundamental revaluation of the company. So, the next question is, how big is this market? According to the company, there is an untapped market opportunity of over 600 offshore leases with wells that could benefit from CS Neptune. As shown below, 143 of these are in the North Sea, where Norway has banned zinc-based fluids for environmental reasons. Another 224 are in the Gulf of Mexico, where TETRA has already proven the success of Neptune. Using the company’s estimate of 600 wells, at an average of $5 million per well, would suggest a $3 billion revenue opportunity. (Recall, that a single large project can potentially generate up to $20-25 million in revenue, so this estimate may be conservative.) At an 80% margin that’s close to a $2.5 billion profit opportunity. That’s a lot of opportunity for a small company like TETRA. In its investor day presentation, TETRA disclosed that it wanted to partner with a “global drilling and fluids market leader” to enhance its distribution and service capabilities for Neptune. That’s actually a tall order for a small company but, on July 2, just over a month later, TETRA was able to announce that it had signed a global marketing and development agreement with Halliburton. The fact that a company like Halliburton would team up with TETRA is a strong testament to the importance and potential reach of this unique product. This confirms what TETRA has been telling us. There is work coming down the line for CS Neptune. It also strongly suggests that Hal[liburton] has a lock on some of this work  and needed the tie-up with TETRA to supply a suitable non-zinc material. This is enormously good news for TETRA. They have the “deal[,”] and have no need to discount to Hal[liburton] to secure the business. TETRA shares are going to rise as a result. This gets back to something I said earlier. While management knows what’s going on better than anyone else, they obviously cannot disclose everything they know. But sometimes they can hint. For example, on the May 31 investor day, management stated that one of its goals was to “partner with [a] global drilling and fluids market leader” for the distribution of Neptune. Obviously, the deal with Halliburton was at a substantially advanced stage by then. In retrospect, management’s statement of strategy was more in the nature of a hint of what was to come. So, when TETRA management writes, “The success of the Neptune technology project simply cannot be overstated,” and when they describe Neptune as “transformational, disruptive technology” what are they really trying to say? Is it a hope, an opinion, or a hint? I don’t know the answer, but given their recent track record, I’m open to the possibility that it may be a hint. I also found Fluidsdoc’s next statement extremely interesting. I have been involved in some of the industry discussions about how to respond to CS Neptune. As I discussed above, every major service company has been looking to create equivalent fluids technology. TETRA evidently has some pretty good patent lawyers, and a track record with Exxon Mobil, (XOM) in the GoM. The arms race is over, at least for Halliburton. This is how I interpret this statement. “Every major service company has been looking to create equivalent fluids technology.” In other words, Schlumberger has been trying hard but, despite its considerable resources, has thus far been unable to duplicate what TETRA has done. Industry giants like Schlumberger need to figure out a “response.” In other words, Neptune presents a significant enough competitive threat to Schlumberger’s base fluids business that they cannot afford to just ignore it. TETRA has a track record with Exxon Mobil in the Gulf of Mexico. Clearly, this “multi-billion-dollar investment well” in the Gulf of Mexico was with Exxon Mobil. I’m sure that’s pretty common industry information but, as an outsider, I did not know that. For ratification of an important new industry technology, you cannot get much better than that. If you read carefully, there's a lot of good information there. So, let’s return to my earlier question, how big and important is the market for CS Neptune? The answer is that it is big enough and important enough for Schlumberger and Halliburton both to have been seeking to develop a zinc-free drilling brine; and it is big enough and important enough for Halliburton to partner with TETRA when it found it could not duplicate its success. Remember, Tetra is not a large company and so it does not take all that much to move the needle here. Other companies  may continue this race by trying to duplicate CS Neptune technology in a way that doesn't violate TETRA's patent. That has been going on for a while now, with no discernible results. I read that statement to mean that Schlumberger is a long way from having a competitive product. In the short term, the agreement with Halliburton will dramatically accelerate the global acceptance and reach of Neptune. That’s why I am excited about the stock in the short term. Once investors figure this out, the shares should start trading meaningfully higher. Remember, stocks anticipate. TETRA Technologies, Inc. (NYSE: TTI) and Halliburton (NYSE: HAL), a global oil services company, today announced they entered into a global joint marketing and development agreement for the sale and distribution of TETRA's proprietary family of TETRA CS Neptune® completion fluids. The collaborative agreement also fosters and drives further development of other oil and gas drilling and completion fluids based on their respective technologies and resource capabilities. "We are very pleased to have this agreement in place with a leading global fluids provider such as Halliburton. TETRA CS Neptune completion fluids are unique zinc-free, clear brine completion fluids that have significant potential for growth through global applications and as base fluids for other applications, such as packer and reservoir drill-in fluids. We look forward to working with Halliburton to expand sales and jointly develop new offerings," said Brady Murphy, President and COO of TETRA. The agreement provides the opportunity for both parties to collaborate and utilize technologies and resources to bring innovative and efficient solutions to the market. A governance team comprised of technical and commercial members from each side will review proposed customer projects and make key decisions on resources and contributing technology to deliver approved projects. "Halliburton Baroid is excited to add TETRA CS Neptune fluids to our market leading drilling and completion fluids portfolio," said Bradley Brown, vice president of Halliburton Baroid. "We look forward to collaborating closely with TETRA and our clients to utilize this technology in deepwater and complex high-pressure wells that require heavy clear brine solutions to control well pressure during the completion phase. Together we intend to further develop and apply the technology in innovative ways to help our clients maximize asset value." What’s important is that this more than a joint marketing agreement. It is also a joint technology sharing and development agreement. On the second quarter conference call, the company gave further clarification on the both the short term and long term potential for this agreement. Analyst: Okay, and then as you look out to 2019, can you maybe give us some insight in the conversations you're having with customers about potential Neptune projects in 2019? TTI: Yes. I mean, as we mentioned TETRA had a pretty significant pipeline of projects that we have been in discussions with customers for some time over numerous geographic areas. Since the Halliburton agreement has been put in place, as I've mentioned, we have taken a subset of those opportunities where Halliburton has an infrastructure, a good footprint in place, customer relationships and have decided to prioritize on those particular projects. Some of those could materialize in 2019. Some of them are in 2019 and well beyond. These are long-range, mostly deepwater projects that we're identifying. But, as I said, the real opportunity is even bigger than that. Analyst: I wanted to ask about the agreement with Halliburton. In that press release, there was some language about looking at potential new applications for the Neptune project—product that would utilize [it] as a base fluid for other applications. Could you maybe talk a little bit more about that? In particular, what would be the potential scope there? TTI: Yes, Martin. So this is Brady. The agreement does address joint development opportunities where both parties bring technology to the table, and we jointly identified projects that we will work on together. As you know, Halliburton has a great drilling fluids business as well as a completion fluids business. And combined with our Neptune technology, there are some clear applications. One, in particular, would be reservoir drilling fluid. The drilling market is a huge market. There are benefits to having a clear brine fluid, like Neptune, as your base fluid, certainly, as it relates to impact on the reservoir while you're drilling. And so that would be one example of a project that we may look at. We have not initiated any development projects at this point. We're still in the discussion phase of what projects we'll prioritize, but that would be the one example with a potentially large application. Both companies can now pool their resources to take full advantage of this opportunity globally. 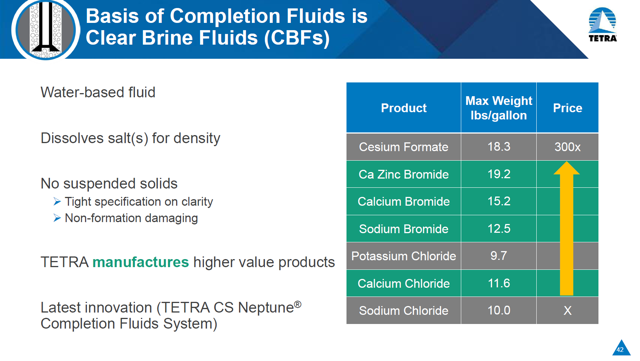 Brines are used not only as completion fluids, but have other applications as Murphy mentions in the press release. The most significant of these is in the area of Reservoir Drill-in Fluids. These are used to drill the reservoir interval in open hole completions, to minimize damage while drilling. These are hugely profitable for service companies and drive a lot of ancillary sales. In other words, the joint agreement with Halliburton is really just the beginning. Expect to see more products based on the combination of Neptune and Halliburton technology. The potential for Neptune to be used as a base drilling fluid as well suggests the potential for dramatically higher volumes. If all of this bears fruit, I would not be surprised to see a more formal tie-up, such as between Schlumberger and M-I Drilling and, perhaps eventually, such as between Schlumberger and parent company Smith. The fluids division had a really terrific Q2—much more terrific than it looked. As can be seen, Q2 fluid revenue increased 44% sequentially and 3.4% year-over-year. While Q2 tends to be seasonally strong as a result of the European chemicals business, what’s notable is that results even increased year-over-year despite significant Neptune revenues in the year ago quarter and none in the current quarter. Without any contribution from Neptune, margins could not of course match the year ago quarter, but nevertheless they improved substantially on a quarter-over-quarter basis, rising from 11.7% to 17.9%. One of the reasons that I am particularly excited about owning a full position in TETRA right here and right now is because I think that Q3 earnings will be stellar and Q4 guidance will be revised substantially higher. At the investor day, the company confirmed then full-year revenue guidance for the entire company of $945-$985 million. In fact, this guidance was actually first introduced on the company’s Q1 conference call. What was new at investor day was the breakout of revenue guidance by division. Thus, we can assume that, had the company given the divisional breakout on the Q1 conference call, it would have been mostly the same as what they gave on investor day. Commercial discussions are well advanced on several CS Neptune opportunities. We remain confident that one to two of these projects will materialize and have a significant impact on our results in the second half of this year. Neptune revenues are so large and consequential that I cannot imagine other than that, if management thought there might be “one to two” opportunities, they would only incorporate one into their formal guidance. To do otherwise would risk falling materially and embarrassingly short of guidance, something I am sure management did not want to do out of the box. But, on the second quarter conference call, management stated that it now expects revenue from two Neptune wells during the second half of the year. The second data point, as we talked about the status of the two Neptune projects we’ve been discussing these past several quarters and expect to execute those and collect the cash this year. One of those, we said was at a fairly advanced stage in the drilling process. During the third quarter, we’ll revisit the TETRA projections as we offset any potential impact from the Permian Basin concerns and the formal award and timing of the CS Neptune projects previously discussed. In other words, it seems that current guidance for the remainder of 2018 only includes one Neptune well, but there is a significant likelihood of a second such well. Given that one was already at a “fairly advanced stage in the drilling process,” it’s possible there will be meaningful Neptune revenues in Q3. If so, Q3 could be surprisingly strong and there could be a surprisingly substantial upward revision to Q4 guidance. The second important division at TETRA is their Water & Flowback Services division which provides water services for unconventional wells in North America. The leader in this business is a company called Select Energy Services, Inc. (WTTR), and I have written extensively about why I think water handling and logistics is a very much underappreciated business with strong growth prospects and durable margins. TETRA is number two in the water business. While considerably smaller than Select, they also have a national footprint with operations in all the major shale basins. As far as I know, all the other players are regional. Since TETRA’s water business is, for the most part, very similar to Select’s, I am not going to reiterate what I have written previously. Suffice it to say that water handling and logistics is an increasingly important and mission critical component of unconventional well completions and Select and TETRA are the two publicly traded companies with a national footprint. Readers are urged to read my first two articles on WTTR for more details about this business and why I think it will grow significantly over the next few years. In March 2018, TETRA doubled down on its water business by purchasing Swiftwater for $42 million in cash and 7.772 million shares of stock valued at $28.2 million. This was an excellent acquisition which gives them a substantial market position in the all-important Permian Basin. 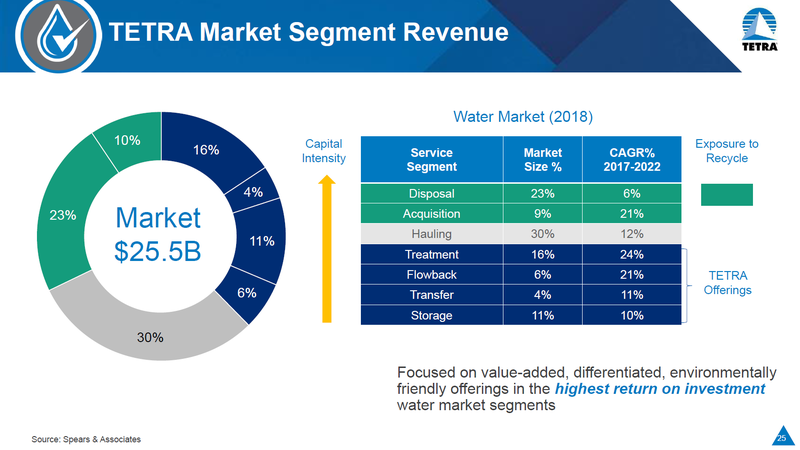 Currently, TETRA is exposed to the $9.4 billion market for the treatment, flowback, transfer and storage segments of the water business, all of which have substantial growth prospects over the next few years. The company’s objective is to deliver double the growth rate of the industry, which would suggest well better than 20% annual growth. One reason I like the water business is because, in addition to the strong growth prospects, it also generates very significant free cash flow. As can be seen above, TETRA management is forecasting EBITDA of $60-66 million for 2018 (a number which is likely quite low) against which it has maintenance capex of just $6-7 million. That bespeaks a very high quality of earnings. Management is further investing another $19 to $24 million in growth capex, on which it expects to earn a payback in 18 months or less. That suggests strong EBITDA growth into 2019 and 2020. One thing I’ve come to appreciate about management is that they have given very conservative guidance that they have then handily exceeded. For example, at the time of the Swiftwater acquisition in March, they estimated that Swiftwater would contribute $16-20 million in EBITDA for 2018. Swiftwater has already generated EBITDA of $2.3 million for March and $6.8 million for Q2, the first full quarter. As can be seen, water division revenues have been growing significantly and EBITDA margins have improved significantly as well. While the better part of the growth from Q1:18 to Q2:18 was due to the added two months of Swiftwater revenues, the segment did enjoy significant organic growth as well. On a pro forma basis, assuming Swiftwater had been acquired at the beginning of the first quarter, Q2 water revenues would have grown by 11.2% sequentially. Note also the tremendous margin improvement that the acquisition of Swiftwater has enabled. As can be seen above, assuming the top end of the revenue and EBITDA guidance, results for Q3 and Q4 would have to fall very substantially below the Q2 run rate. I don’t think that’s likely. I think it is more likely that EBITDA guidance will be ranged from $60-66 million to perhaps $70-75 million. On the Q2 conference call, one analyst addressed this issue. Analyst: Just a quick question drilling down on guidance on the full-year. 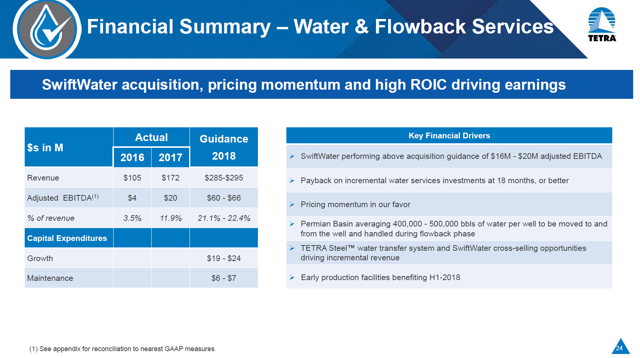 So like, for example, on water, if your second half results were just flat from 2Q levels, [you would report] $72 million in EBITDA [while] guidance is standing at $60 million to $66 million. Any color there would be helpful. 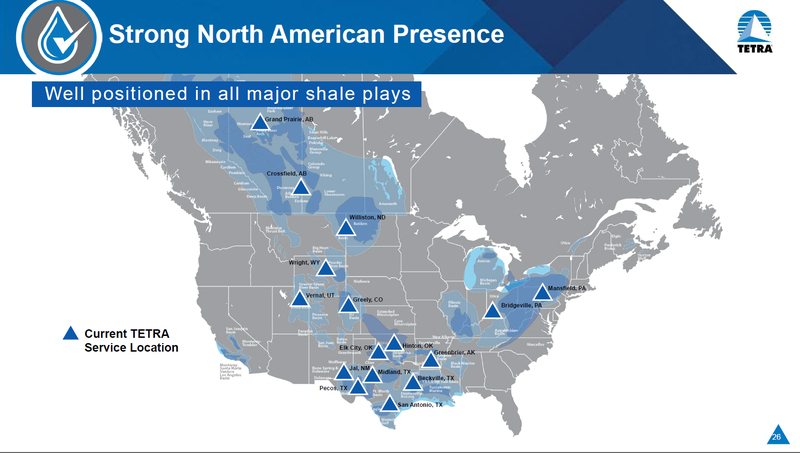 Is this just caution over what Permian activity is going to look like? Or what  drove you guys not to revisit that guidance today? TTI: So Jake, good question. We did have a really solid quarter on the water and flowback testing side. Brady talked about picking up some integrated projects that we think, would have upside opportunity. We’re going to take a cautious approach, reassess during the quarter to make sure that the impact of any other takeaway concerns don’t impact our outlook. And then, when we report the next quarter, you’ll see us address the opportunity to continue the profitability with the water management and flowback testing. Analyst: Okay. So fair to say a bit of conservatism just baked into it? TTI: Fair to say that. Analyst: Okay. And then secondly, if I look at Swiftwater sort of the growth rate relative to—if you just annualize their—or gross up the 1Q result, looks like it's growing at about 18%, but that implies kind of a materially lower growth rate in the legacy business. I was wondering if you could just give us a little bit color. What's going on there? TTI: The legacy business is holding its own. It's doing well. One of the benefits that we're seeing is that the customer base that came across with Swiftwater didn't have access to TETRA STEEL double-jacket, lay-flat hose. So we're moving a lot of our service offerings and technology in this area and benefiting the customer base that So keep in mind that this is a collaborative TETRA-Swiftwater customer base product offering, employee base is supporting both. And as we get further into the integration, it's going to be harder to segregate one versus the other because we're starting to move people, equipment and assets back and forth. And it's a matter of, do you assign a TETRA STEEL project to an existing opportunity brought forward with a Swiftwater customer base or pursue a completely new opportunity? As we reported in the future quarters, it'll be hard to distinguish what is Swiftwater versus TETRA because we're integrating it significantly. TTI: And just to add to that, Jacob. Again, I think, one of the points we want to get across is, in addition to the strength in the Permian, we've seen strength in the other basins, which is very encouraging. And within that construct, we've seen continued strength in margin enhancements on the testing side. We've said over the last year that we thought the domestic testing margins would lag the water progression, and I think it has. But we're starting to see, as we said on the call, margin starting to move back to where they were back in 2014. So we're very encouraged about that progression as well. In my opinion, this sounds like a company that is going to meaningfully raise its guidance for this division when it reports Q3 earnings. 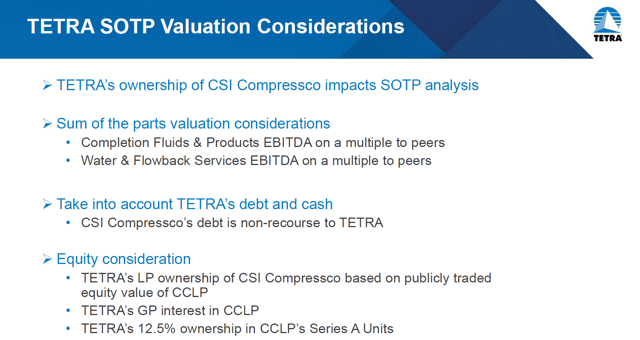 TETRA’s third important division, Compression, is not so much a division as an investment in a separate, publicly traded company known as CSI Compressco, LP (CCLP). Compressco is a vertically integrated compression company, meaning that they supply compression services, but they also manufacture, sell and support their own equipment. They also provide aftermarket support for third party equipment. For the most part, compression is a mildly cyclical business that fluctuates with oil and gas prices and offers rent-like returns. It is a heavy iron business, requiring lots of assets that are optimally financed by low-cost debt. Currently, this business is coming off the bottom of the cycle and management has done some smart things. First, they paid down their bank debt and issued senior notes, also adding $100 million to their cash balances in the process. The company is now in a comfortable position with no covenants and no debt coming due until 2022 at the earliest. Then, management used this additional money to invest in increasing their available horsepower. Utilizations have rebounded significantly off the bottom and Compressco’s earnings and dividend are set to move higher. Unlike most of its peers, Compressco is vertically integrated and manufactures its own equipment and provides aftermarket support for its own and third-party compression equipment. As utilization has rebounded, the compression market has gotten tighter and there has been increasing demand for both new equipment and aftermarket service. At June 30, 2018, the company reported the highest backlog in its history, $102.2 million, which reflects an order from a single customer for $67 million—the largest such order in their history. By comparison, its backlog at the year ago period was just $24.0 million. Most of this backlog is expected to be delivered in the second half of 2018, so expect a significantly stronger second half. Whether the company can continue this momentum remains to be seen. Now, this is where things get a little complicated from an analytical standpoint. Essentially, Compressco is its own company (structured as an MLP) and at the last report TETRA owned about 37% of the common LP units, 12.6% of the preferred units and an approximately 1.6% general partner interest. In many ways, TETRA’s interest in CCLP is more in the nature of an investment than a true operating subsidiary. Like any other common holder, it benefits primarily from an appreciation in the value of CCLP stock and any dividends paid by CCLP. Other than that, CCLP is a financially and legally separate entity and there is no commingling of cash or cash flows. To the extent that TETRA owns less than 50% of CCLP, it would normally account for its interest as an equity investment. But, because TETRA also owns the general partner interest, it exerts functional control over CCLP and must therefore consolidate CCLP’s financials with its own. This makes the analysis of TETRA’s financials a bit messy. What do I mean by messy? If you look at TETRA’s most recent balance sheet, you’ll see $810 million of long term debt. The reality is that $632 million of that debt belongs to Compressco and, while TETRA must include that debt on its balance sheet, it is in no way liable for that debt under any conditions. Basically, TETRA owns about a 40% economic interest in Compressco and the best way to think of this is that TETRA’s interest is mostly like that of any common unit holder. But because TETRA must consolidate the financials of CCLP with its own, they seem much more intertwined than they really are. I believe that, notwithstanding TETRA’s effective control over CCLP, its interest should be valued primarily as a standalone equity investment. Therefore, this is how I value TETRA’s interest in CCLP. • At June 30, 2018, TETRA owned 15,428,587 common units of CCLP. At their last traded price of $5.48, this stake is worth $84.5 million. • TETRA also owned 559,975 shares of CCLP’s Series A preferred units. Over the next year, these shares will convert ratably each month into common units of CCLP. I value these at par, or $5.6 million. • In addition to exercising function control over the company, the general partner interest in CCLP is entitled to 1.6% of CCLP’s dividend payments plus incentive distribution rights as dividends rise beyond a certain level. Beyond the value of the dividend distributions, the value of the general partner is somewhat difficult to establish. The incentive distribution rights are too far out of the money to be a meaningful source of value, but control is worth something. Thus, I am going to somewhat arbitrarily value the general partner at $0 to $30 million. The upper end of that range presumes that TETRA will use its control to monetize its investment in CCLP at a premium, perhaps by selling the company outright. All told, I value TETRA’s interest in CCLP at $90 million to $120 million, most of which is the current market value of its securities holdings in the company. 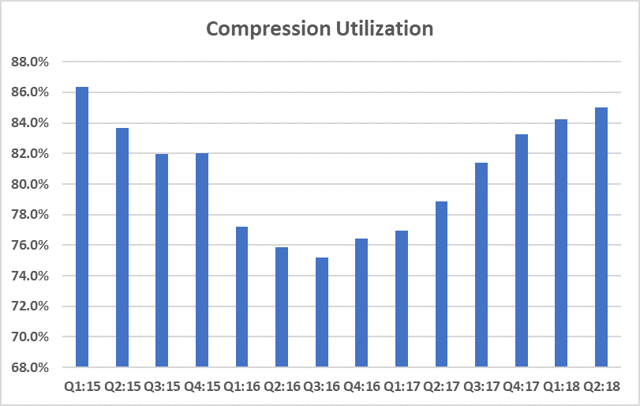 While nominally the largest of the three divisions by both revenue and EBITDA, I believe Compression is actually the least valuable division. It is also likely creating value at the lowest rate compared to the other divisions. I believe its relative value to TETRA will rapidly diminish in importance as compared to the fluids and water divisions. According to the company, there are cross-selling synergies with its other divisions; but I’m just not sure that they are sufficient to warrant keeping the division given the complexity it adds to the capital structure. Compressco is poised to do better and I think that management should use this as an opportunity to monetize their investment. While they could always sell their shares into the market place, the value of having control is they could also sell the company to a third party, likely at a premium. In my opinion, Compressco should be sold because TETRA now has bigger and better fish to fry. Given its control position, why not seek to obtain an acquisition premium? An important part of TETRA management’s remake of the company has been to clean up its balance sheet. Currently, TETRA has $178 million of debt versus its most recent quarterly EBITDA of $33.9 million. 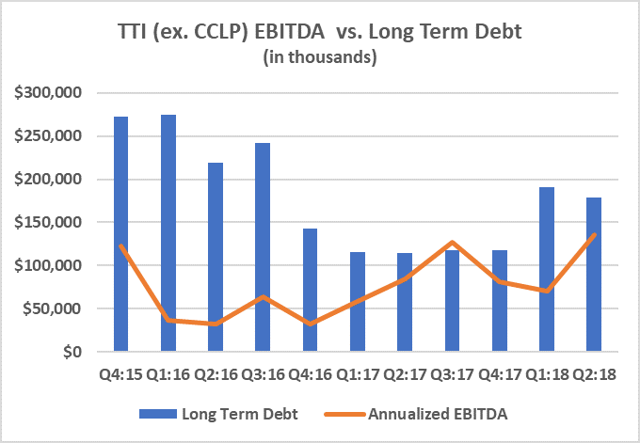 A sale of CCLP could reduce its debt by at least half or more, freeing up capital which could be invested in either of its two other divisions. Before I discuss how to value TETRA, let me discuss how not to value it. Many analysts are valuing the company on a consolidated basis, that is, assigning a unitary target multiple to a consolidated EBITDA figure including Compressco. I don’t think that’s right because each of the company’s three divisions are really quite different in terms of growth prospects, capital intensity and risk. The compression division, in particular, is a horse of a different color. Notwithstanding the consolidated financial presentation, there is no commingling of assets, liabilities or cash flows between TETRA and Compressco, and so it is essentially improper to value them on a consolidated basis. Furthermore, in almost all cases, this unitary multiple is far too low because it does not consider that Neptune is a very large and high multiple product opportunity. I believe the company agrees with me that the correct way to value TETRA is a sum of the parts analysis with the value of Compressco “mapped over” from its public valuation. So, here’s how I value TETRA on a sum of the parts basis. 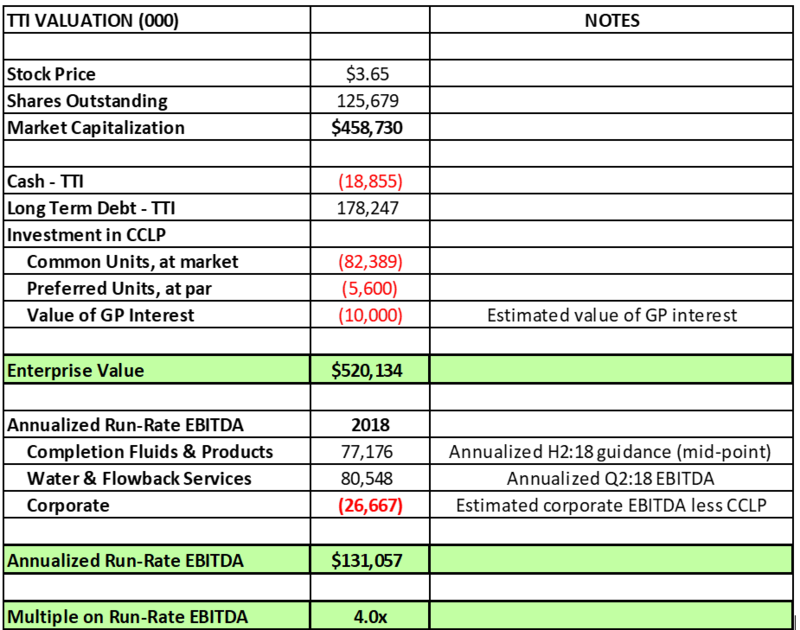 In order to establish a current valuation, I try to establish a reasonable current EBITDA run rate for the fluids and the water divisions. For the fluids division, I use the midpoint of management’s guidance less the reported first half results to establish a current run rate. For the water division, I use the Q2 actual run rate. I believe that both are likely conservative. As shown above, this yields an enterprise valuation of approximately 4.0x the current run-rate EBITDA. That’s a very attractive valuation for a company that is both generating significant free cash flow yet also has bright growth prospects. Given that the calendar is pushing November, TTI should really be valued on 2019 cash flows. Since management hasn’t given guidance for 2019, I will need to provide my own. I expect that I will have a much better handle on the potential for 2019 by the Q3 earnings call, but for now I will simply grow the run-rate EBITDA by 15% for each division. I think each division is easily capable of significantly exceeding those placeholder estimates. 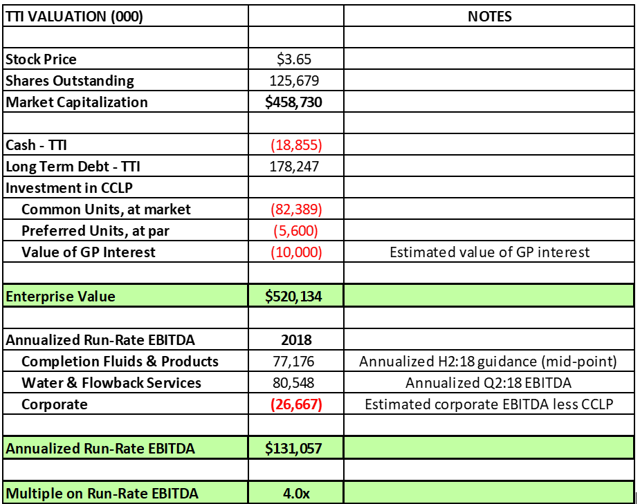 Thus, on the low side, I think the compression division is worth $90 million, which is the market value of TETRA’s ownership position plus the value of its GP dividend interest. On the high side, I think you can add a 30% premium in a change-in-control scenario, resulting in a value of $120 million. As I noted in my articles on WTTR, this is a good business with good growth prospects, modest reinvestment requirements and robust free cash flow generation. It is a better and less capital intensive business than pressure pumping and a very much better business than frac sand, which is now beset by significant oversupply issues. On balance, I think the Water & Flowback Services division is worth at least a 7.0-8.0x multiple. This yields a valuation of $648 million to $741 million for this division. Adding it all up and adjusting for corporate overhead yields a valuation range of between $8.38 and $13.09. Even the low end of the range is more than a double from these prices. Most of the variation in the valuation comes from the prospects for Neptune. The low end of the valuation range reflects an outcome in which Neptune never amounts to much more than a niche product, used in a handful of wells each year. The upper end of the valuation range assumes meaningful penetration and growth for the product. Remember, Neptune is a groundbreaking product in its infancy with drug-type margins, patent protection and, thus far, no competition. A single Neptune project contributed almost $25 million of revenue and $20 million of EBITDA in less than two full quarters. With two Neptune projects scheduled for the second half, the real question is what can 2019 and 2020 and 2021 produce in terms of Neptune earnings. If the agreement with Halliburton bears significant fruit, even the high end of the valuation range will ultimately prove far too low. I believe investors should buy TTI now, ahead of the Q3 earnings report. Even at the lower end of my valuation range, which assumes that Neptune never becomes more than a niche product, the stock can double. If I am right about the prospects for Neptune, this stock can trade in the mid-to-high teens soon enough. Disclosure: I am/we are long TTI WTTR. Numerous reservoirs in the US are prone to early transition to high water production and produce at their economic limits in spite of often having 75-80% or more of their OOIP remaining in these developed and de-risked fields. It is the shallow reservoirs that were discovered first and mis-managed in the early days which are now in the hands of the Mom and Pops, who are notoriously late technology adopters. This is where the big stranded reserves are in the US. The best combination for this process is homogenous geology, relatively low gravity oil, close well spacing and a strong, active, bottom water drive. That combination makes for early water coning and high percentages of stranded reserves in an active bottom water drive reservoir. A oil cut (WOR) of 1,000/1 is typical for the Nacatoch B Sand in northwest Louisiana; a terrible Adverse Mobility Ratio. In the Nacatoch B, the oil wells are essentially water wells that make oil as a contaminant once the water cones in. About 10,000 of these wells were drilled, a significant number during three separate periods of intense promotion because these wells had good flush production and frequently paid out in a couple of months before the water came in. The reservoir is acting exactly as physics dictates. This oil is 19-21 gravity and it takes pumping the well down about 150’ to provide a sufficient pressure drop to mobilize oil to the well bore and that is impossible without changing the downhole physics at work. Nacatoch oil is about 250 centipoise viscosity while our water is 1 centipoise with permeability as as high as 3,000 millidarcies. As a consequence, pumping these wells down is impossible because the water channels will expand to accommodate any given pump capacity. These factors, and the large stranded reserves, led to the develop an inexpensive polymer treatment for water control and enhanced oil production for reservoirs with a low permeability contrast such as those of the Caddo Pine Island Field’s massive blanket sand, the Nacatoch B Reservoir. A dry polyacrylamide polymer of special design is mixed on the fly and injected into the water bearing portion of the sand with a Mobile Gel Unit. You could think of it as inflating a balloon underground and as long as you are injecting more than you are withdrawing the area affected will continue to expand. That makes this process site specific, you can keep the ‘polymer balloon’ and the oil on your leasehold instead of mobilizing the oil horizontally, potentially off of your leasehold as with a traditional displacement type polymer flood. The produced oil and polymerized water is separated in the usual way and the polymerized water, having value now, is recycled. Bottom line is turning your worst enemy, water, into your best friend. Think of this as a polymer flood that operates vertically instead of horizontally - that lets oil move in the direction nature wants it to go, vertically. Injection continues until the polymerized water surrounds nearby producing wells. That lets the operator pump those wells down because the wells no longer have access to low viscosity native water. This relieves enough hydrostatic pressure in the well bore to let the reservoir energy mobilize the more viscous oil to our well bores at higher rates. This technique lets an operator keep the oil on their lease while qualifying as Tertiary Enhanced Oil Recovery on a voluntary leasehold unitization basis in many states. Without mobility control the reservoir can only be shown about a 20 psi pressure drop no matter what capacity pump is run. A 20 psi pressure drop will move all of the water you can possibly pump through a high permeability sand but transports very little oil. With produced water mobility control the well can now be pumped down. Mixing polymer into the water dramatically improves the mobility ratio and lets us pump the well down to take advantage of the reservoir pressure. To accomplish polymer placement in the desired portion of the reservoir, we continuously hydrate, blend and inject polymer at our target viscosity. Viscosity is targeted such that the polymer blend preferentially flows into the water productive regions of the sand while not displacing the oil horizontally. 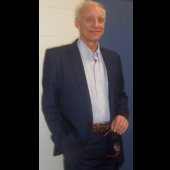 “Change the nature of water and the physics downhole changes and a new equilibrium state with respect to how oil and water move relative to one another is established. Darcie’s Law tells us that only three things determine the rate of fluid movement through our sand; pressure, viscosity and permeability. Which of those is easiest and cheapest to change on a large scale? The viscosity of water. Unlike many EOR methods that rely on changing the characteristics of the oil, where the benefit is lost when the oil is produced, the polymerized water is recycled and what used to be our waste product, water, becomes an asset. The oil market is witnessing some interesting dynamics this week: On one hand Russia thinks (at least as stated in their public statement on Saturday) there were risks that global oil markets could be facing a deficit; on the other hand, OPEC (of which Saudi Arabia is the most influential player) hinted last week that it may have to reimpose output cuts as global inventories rise. This public divergence seems to be confusing the traders. The confusion stems from the fact that major oil players Saudi Arabia and Russia were apparently working in tandem, at least up until now, in regard to calibrating oil supplies to the world market. So why is this apparent divergence between OPEC and Russia’s view points? In oil politics (like in politics, in general), nobody is nobody's ally or friend - the key players could and would change their tune according to what is best suited to their policy objectives. Russia may be wanting the world to get the feeling that it is distancing itself from Saudi Arabia - for the time being. The reasons could be anything but apparently it might have to do with the aftermath of killing of the Saudi journalist. Though Russia has refrained from making any detailed specific comments in public about the killing, it probably wants to maintain a safe distance from all of it especially since Turkey is involved in the matter and Russia has been wooing Turkey quite diligently in the recent times. Also, Russia (and may be the OPEC members) realizes that it is better to wait and see the extent of impact of US sanctions on Iran’s oil exports. Already the oil exports from that country has reduced and it is expected to decline further. Traders would in any case automatically react to discernible impact on Iran’s oil export volumes. Further, it should be borne in mind that the impact of the US sanctions may not be that severe after all since the US was reportedly open to keep the SWIFT mechanism in place for Iran’s trade transactions, which would mean Iran may be able to export some quantity of oil, albeit, in reduced quantities. Thus, it makes sense for Russia to keep the supply going at the current rate till the dust settles on Iran’s oil exports post-US sanctions and then make a determination whether to cut supplies or not. In any case, OPEC and non-OPEC are supposed to meet in December this year to review the situation. And, it does not hurt Russia too much if the WTI remained <$70/barrel since their president reportedly stated recently that price range of $65-$75 suits them. It may also be prudent for Russia to wait and watch how the situation in the EU unfolds after the reported decision of German Chancellor Angela Merkel to step down as leader of her party this year and as Chancellor in 2021. Russia may want to see if Merkel’s stepping down has any impact on Russia’s Nord Stream 2 project’s future. Merkel’s ally in EU - Macron of France - is not doing too well either in the popularity polls. Compounding all this is the Brexit chaos and Italy's proposed budget which EU is not willing to accept. All in all, EU seems quite directionless and muddled at the moment. Another factor that would most likely come in to play in global policy dynamics on key issues is the outcome of the November 6 congressional elections in the US. If Democrats win the House of Representatives, political equation in the US will change significantly and President Trump’s policy trajectories might also get altered. Various key policy decisions of the US administration, e.g., USMCA, tariff spat, might get bogged down in Democrat vs Republican political football. One would like to believe that OPEC may also want to take a cue from Russia’s recent overtly stated stance on oil supply situation and decide to wait and watch the key political events unfold in the US, EU and Middle East over the next few weeks and then decide their next course of action after the OPEC and Non-OPEC meeting in Dec this year. Till then the key oil players may want to play by the ear and adjust their key policy statements and decisions, as necessary, should any key political development take place in the meantime. In view of the above, the oil traders may not have any choice but to coast along accordingly based on the prevalent sentiment on the day.